…the fact that a process so common and important as water freezing is not fully resolved and understood, is astonishing. There are more spectacular ways of triggering this transition than just letting a tank of water cool down slowly: Following last winter’s viral trend, fearless mavericks turned boiling water vapor into snow flakes. Simply sublime desublimation? Special effects supervisor Alex Weldon was charged with devising a way to realistically recreate the look of pools of steaming milky water that had been at the location. He concocted similar liquid with evaporated milk and white poster paint, mixed with water and poured into the set’s pools. Steam bubbling to the top was created with dry ice and steam machines, passed into the water via hidden tubing. If a chunk of dry ice is taken out of the refrigerator and thrown onto the disco’s dance floor it will heat up a bit, and cross the line between the solid and gas areas in the diagram. You would need to do the experiment in an atmosphere less than 1/100 as dense to sublimate ice or desublimate vapor. But experiments show that the green area seems to be traversed in the fraction of a second – and boiling water seems to cool down much faster than colder water! It seems paradoxical as more heat energy need to be removed from boiling water (or vapor!) to cool it down to 0°C. The heat of vaporization is about 2.300 kJ/kg whereas the specific heat of water is only 4 kJ/kgK. I believe that the sudden freezing is due to the much more efficient heat transfer between the ambient air and vapor / tiny droplets versus the smaller heat flow from larger droplets to the air. Surface tension indicates the work it takes to create or maintain a surface between different phases or substances. The internal pressure inside a water droplet is proportional to surface tension and inverse proportional to its radius. This follows from the work against air pressure needed to increase the size of a droplet. Assuming that droplets of different sizes will be created with similar internal pressures, the average size of droplets will be smaller for higher temperatures. A cup of water at 90°C will be dispersed into a larger number of smaller droplets and thus a bigger surface exposed to air than a cup at 70°C. The liquid with the lower surface tension will evaporate more quickly. One more twist: If droplets are created in mid air, as precipitates from condensation or desublimation, it takes work to create their surfaces – proportional to surface tension and area. On the other hand, you gain energy from these processes – proportional to volume. If the surface tension is lower but the area is larger the total volume is the same – and thus the net effect in terms of energy balance might be the same. But arguments based on energy balance only don’t take into account the dynamic nature of this process, far off thermodynamic equilibrium: The theoretical energy gain can only be cashed in (within the time frame we are interested in it) if condensation or freezing or desublimation is actually initiated – which in turn depends in the shape and area of the surface and on nuclei for droplets. I have for sure not discussed any phenomenon involved here. Even hot water kept in a vessel can cool down and freeze faster than initially cooler water: This is called the Mpemba effect, a phenomenon known to our ancestors and rediscovered by the scientific community in the 1960s – after a curious African student refused to believe that his teachers called his observations on making ice cream ‘impossible’. The effect is surprisingly difficult to explain! In 2013 an Mpemba effect contest had been held and the paper quoted at the top of this post was the winner (out of 22.000 submissions!). Physical chemist Nikola Bregovic emphasizes the impact of heat transfer and convection: Hot water is cooled faster due to more efficient heat transfer to the environment. Stirring the liquid will disturb convective flows inside the vessel and can prevent the Mpemba effect. Various parameters and processes – such as living organisms in the water or heating water to higher temperatures before! – might destroy or create nucleation sites for ice crystals. 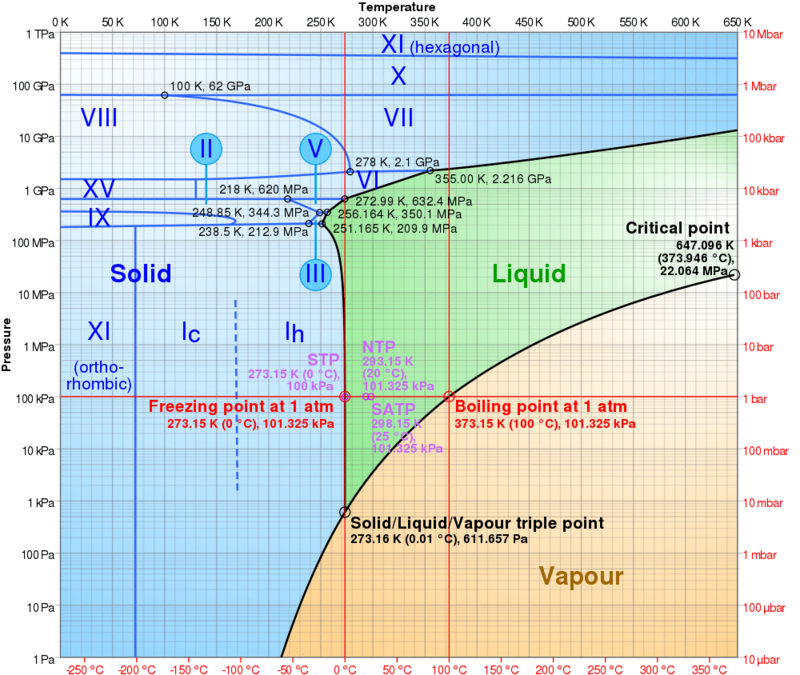 Supercooling of vapor might also allow for a jump over the green liquid area in the phase diagram, and thus for deposition of ice from vapor even at normal pressures. I did not expect to find that water could behave in such a different manner under so similar conditions. Once again this small, simple molecule amazes and intrigues us with it’s magic. This entry was posted in Heat Pump, Physics, punktwissen, Science and Technology and tagged Desublimation, History of Science, Ice, Nucleation, Phase Transition, Physics in Everyday Life, Science, Sublimation, Thermodynamics, Water by elkement. Bookmark the permalink. Water is just so wonderfully complicatedly weird a material; it’s amazing that it’s got such an apparently simple structure. I’ve been wondering about some mysterious behavior in the water in our pond out back. There’s a small heater unit, about the size of a dinner plate, that we’ve been using to keep a hole in the ice so that the local animals have something to drink and so the fish left in the ice-covered pond aren’t smothered by gases built up underneath (from decaying leaves and the like). The heater’s been gradually rising, as the ice builds this little (and very shallow) hill around it. My guess is that it’s the pond water getting close enough to freezing that it starts expanding again, and with the ice sheet atop the pond impassable, water instead bubbles out the hole made by the heater and then freezes as soon as it’s far enough away. But I haven’t worked out numbers to see if that’s plausible (I don’t even have a good estimate of the pond’s temperature) and I can’t think why I didn’t notice this last year, or if I did notice it and didn’t think to make anything of it. I have seen that some of the off-the-shelf ice preventers have cavities that can be filled with soil to avoid ‘floating’ on the ice. I think the following happens: Ice starts to grow as a ‘slab’ in a certain height above the ground of the pond. Now the slab of ice grows from the initial thin layer down to ground. Water is turned into ice, but it has to expand by about 10% in volume on freezing. So the remaining water needs to escape through the hole and pushes the heater upwards. We use a tiny heater in our underground water / ice tank used with the heat pump to avoid trapping all the remaining water under a slab of ice (or pressure would damage the heat exchanger tubes). One of the observations I can now make is how incredibly complex our physical world can be. Sure, we can absorb some basic thermodynamics, but when we witness discrepant events, rather than try and fit them in to our overall world view we often just ignore the events thinking that they may be random errors or perhaps events under the influence of an unanticipated force. Does it or does it not and if it does, what do we do about it: ignore it or try and work the new observation into our existing framework? …or ditch the whole thing and start over; something that won’t be needed this time one assumes. So we have to wonder what it is that changes the nature of the material or the surroundings when the initial temp is warmer. Could it be a change in the dissolved air content in the water perhaps. Hot water may have more or less dissolved air and maybe this affects the cooling rate, especially at 0C. Or, maybe the warmer air sets up some sort of convection current around the object that more effectively cools it, but on a differential basis. Then again I am speculating in the absence of empirical data 🙂 who says this even happens at all! The two papers I have linked show some data for different processing of the water. From this I concluded the effect is real but can depend on many different parameters, some may have been unknown in some of all reported cases of this effect. 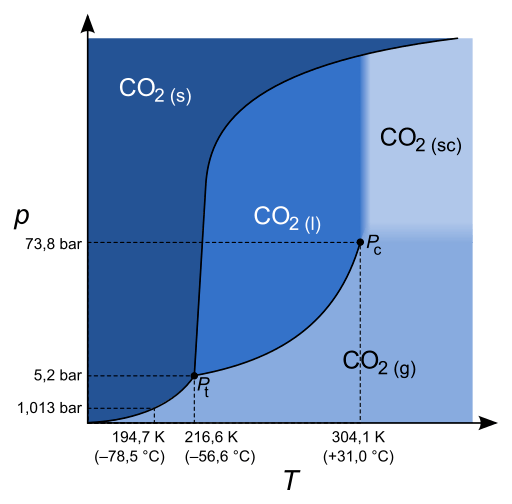 Above all, they try to define exactly what ‘freezing first’ means – the onset of releasing latent heat (opposed to reaching 0°C, or freezing the whole sample…). The heated water without contact in sealed vials, tested different containers etc. I think the essential result in in Fig 19. – showing the impact of the number of freeze/thaw cycles before the measurement on the effective freezing temperature which is well below 0°. So they concluded that hot water will freeze faster if and only if both hot and cold samples are supercooled and the hot sample has been prepared in a different way (which may have inactivated more nucleation sites.) If samples freeze at about 0° they see the expected behavior of both cooling curves gradually approaching each other when the gradient to the ambient temperature becomes slower and slower. They also mention effects such as a hot cup of liquid melting the frost underneath – a layer of ice that prevents heat transfer from between the initically colder cup and the desk / pad underneath. http://www.rsc.org/images/nikola-bregovic-entry_tcm18-225169.pdf (Contest winner, explanations focusing on convection but also taking into account supercooling). The first plot (cooling curve) shows a pronounced effect, but the author noticed a considerable drift in the temperature of the empty icebox. The second series of plots, gathered when starting at the minimum (ambient) temperature still show the effect, but less pronounced. The most promising explanations seem to have been more efficient heat transfer to the surrounding plus sustained internal convection (there is also the signature 4°C bump in the cooling curves) and different effective temperatures of freezing supercooled water. He also cites another author who had observed that stirring may prevent the effect, thus the emphasis on internal convection. The other candidate theories I have not mentioned in the post have been were (I have found them in some older papers, too): Amount of dissolved gas and cooling via evaporation of material (I think the latter might be more interesting in the throwing-into-air effect than for the Mpmeba effect). Interesting post and conversations. Because the air seal on houses, by national building code in Canada needs to permit no vapour transfer between inside and outside of a building, drying clothes on a rack in the house is not a good choice: it can lead to black mould growth and create a toxic environment very quickly. So, we use clothes dryers during the sinter, and that means every time the drier runs we send clouds of steam outside our houses through venting. If I do laundry on a warm Saskatchewan winter day, like minus 20 (I’ve never measured; this is more anecdotal data), the vapour falls heavily and collects on surfaces below the vent. If the temperature is warm enough it can collect as water in the cooler air and freeze, making an ice build-up. If the temperature cools off–let’s say into the minus forties–then things get interesting, especially in this house where we now live. We have a full roof between our house and detached garage, which is fully enclosed with a door on one end and fully open on the other. The drier vents into this space, closer to the open end. Still, the roof prevents a quick dispersal of the steam and on the cold days I can see it through the kitchen window, hanging like an ice fog in this space we call a breeze-way. When the drier quits and all the steam dissipates I can find interesting ice crystal structures hanging on the side of the building. This is even more interesting in the early stages of winter, when the spider webs from the autumn are still intact, creating a larger surface for the water to collect and freeze. I had always thought of these processes in terms of surface area. If the steam does not freeze quickly it condensates and the larger collections of water take longer to freeze. When the temperature drops the steam has no opportunity to collect before freezing and thus the dispersal continues via a larger surface area. I had been unaware of questions of surface tension before and look forward to mulling this over. I wonder if your building code is also related to preventing freezing of water inside the walls? To avoid mechanical damage? As far as I know our regulations don’t require walls to be water / vapor tight. Only roofs have to be. We also use a dehumidifier in the room used for drying clothes, but one without a vent (water is collected by the device). Our house has just a very small cellar and the main part is built more or less directly on ground. .. or whatever people used asa very basic insulation about 100 years ago. So walls were susceptible to humidity always. On rebuilding the attic we invested in high-tech exsiccating – drilling holes into all the walls and injecting some liquid that should finally form a continuous film and shield the walls from the humidity of the ground below. We also had all walls insulated at the outside, using version of polystyrene tiles called ‘open’ so that water may diffuse from the room to the outside … and some special ‘open’ grout. But, alas, we still saw some mold patches (it seems brown leather is very susceptible ;-)), so we installed the dehumidifier. Several years ago we invested in a Miele washer and dryer. They are super efficient in the way they work, so yes, they resemble something industrial. A lot of steam comes chugging out of the house in a very short drying time. I actually like watching it, but this summer we’ll need to move the vent where the moisture doesn’t get caught in the breeze way space. When the renovations begin to wrap up I think I’ll post a bit on what we did. But at one time there was no regulation of vapour transfer in building here, and this house belongs to that era. The renovations became necessary when, last winter, our daughter found mold in her bedroom closet. When we removed the drywall we found the insulation was really a block of ice. In the spring we had water damage in the floor below as other ice blocks in the walls began to melt. I was surprised, though, that we actually found very little mold in the house. This may be due to the fact that air passed through the house so easily! I find it interesting to read about building technologies and standards in different places. I haven’t heard of exsiccating before! I have to google it. Thanks, Michelle! I find it also very interesting to learn about such technologies in other countries – I always wonder which differences are due to climate and which due to culture! I think ‘exsiccation’ is perhaps not the term the construction industry uses – that was maybe my physics/chemistry lab voice speaking 😉 Perhaps the technical term is something like ‘chemical dampproofing’? … very apt as I live just a few kilometers from the border. As the author says, this method is often applied to centuries old buildings like castles and other monuments – so it is maybe more common in Europe? Yes, I had difficulties to find a reference story in English, too! We had contracted a company specialized in this method, and they had lots of references – many of them historical buildings and monuments – but no English website. I think the injection method is used if mechanical damp proofing is not an option or too expensive. In our case, it was a compromise – trying to do what is possible without having to make major changes to the ground floor (…after all, this was the attic rebuilding / roof repair project ‘only’..). It was definitely an improvement, but I think we could not get rid of all the humidity as we did not have access to all the walls, e.g. we did not want to sacrifice the tiles in a bathroom we had laid ourselves a few years ago – so not all the walls could be treated. Actually, having drilled all those holes into walls was risky… you never know for sure where people placed pipes decades ago and the resolution of those metal detectors is not sufficient unless you use high-tec equipment. Thanks, Dave – that’s a really cool video … very well done and entertaining! Perhaps I should google if somebody had done such a 100000 frames / sec video of the freezing hot water – in close-up so that one could see the droplets! I rushed off to think about this one ! Initial conclusion: A drop of boiling water thrust into a very cold space – the outer surface will cool quickly and the surface tension will increase, and consequently the pressure. The volume stays the same so by Boyle’s law the temperature towards the middle of the drop will rise, causing bubbles of steam to form. These make their way to the surface, still hot, create a weak point in the surface. The droplet then “explodes” into many small droplets, mist or cloud, as seen in the videos. There are enough of these to form ice crystals, which will fall as snow. Larger lumps of water may just freeze on the outside and fall frozen. A n inspection of the stuff that falls down is needed. I would love you to demolish this theory ! Thanks Horward, for the challenge! First thought: Surface tension would decrease with increasing temperature (as per the plot I’ve embedded), not decrease. So if we assume that the radius of the droplet if given in the beginning: Pressure ~ surface tension / radius –> pressure would decrease. Furthermore, what defines the initial radius? If droplets are on average created bigger or smaller, their behaviour would be different. But I know my argumentation about the droplet size is not perfect either 😉 as it is actually based on an similar internal pressures in all droplets created. 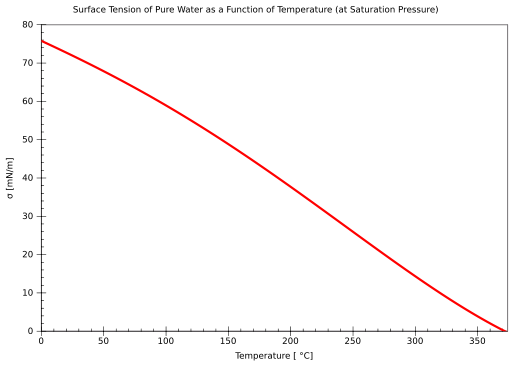 In one of the articles I linked it was stated that generally liquids with lower surface temperatures evaporate easier – and admittedly my lower-droplet-size theory was the simplest way I found to explain it. I thought about water vapour, but it looks as though the mist arose from the thrown water directly. My argument about the surface tension is that the drops arrive hot and then the outside cools quickly, increasing the surface tension. This is a fun investigation. You are of course right about the surface tension!! I had another look at the first video, it shows stuff better than the Russian one. You can see little comet like things falling out of the cloud (of mist or frozen mist I don’t know). there is a trail from each one, which suggests that something is oozing out as they fall. Check it out. I wanted to assess the timing but cannot see enough, and there is a perspective problem as well. I did think that if this phenomenon only occurs with water near boiling, then boiling has a lot to do with it. Is it cold in Austria now? Unfortunately our so-called winter is extremely mild – so I can’t test it! The difficulty is really in explaining what goes on in that moment you throw the boilng water into the air – so many effects might have to be considered. The Mpemba effect is already complex enough even if it is about pots of water cooling down under tightly controlled conditions.